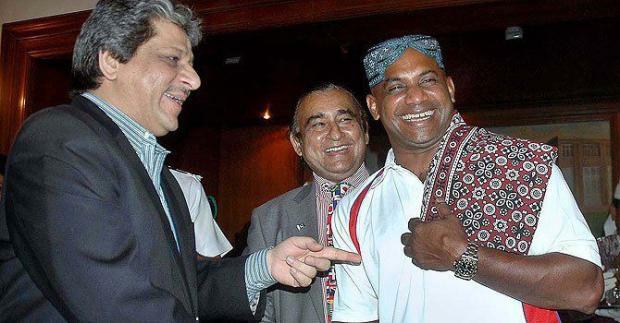 Sanath Jayasuriya in Sindhi Topi & Ajrak at People images is easily accessible here online. Interesting images captivates the observer keenly. Find and share all latest pictures, photos with your friends and family on social media platforms. Sanath Jayasuriya in Sindhi Topi & Ajrak at People images has (40051 Views) (forty thousand and fifty-one) till 23 Oct 2012. Posted By: Guest On 23 Oct 2012 2015. Sindh dharti asan g maa ahy . Agr ker un ty buri nzr san disndo asan un joo akhyo kdhi chadindasen.